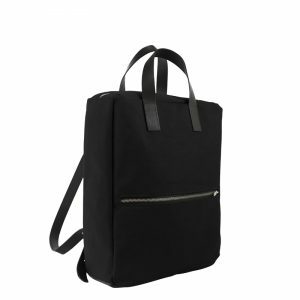 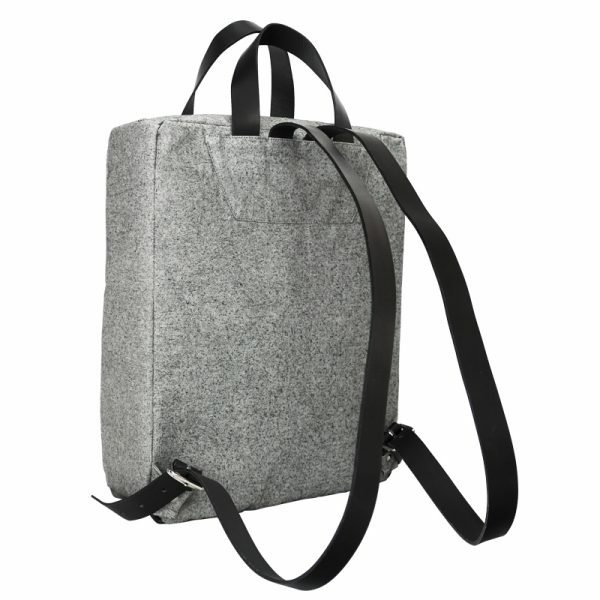 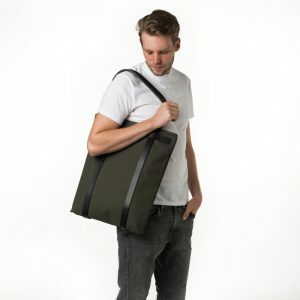 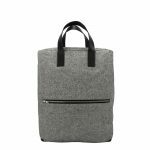 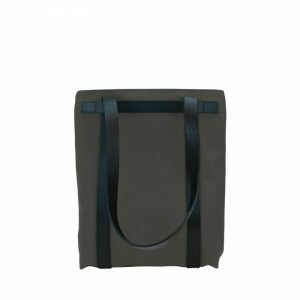 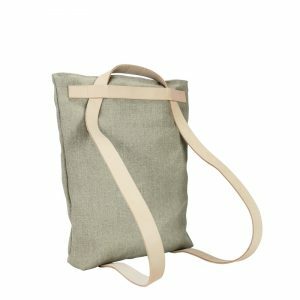 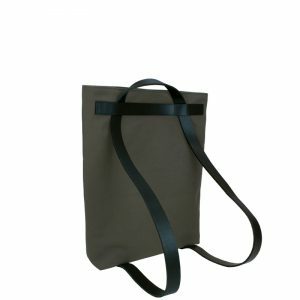 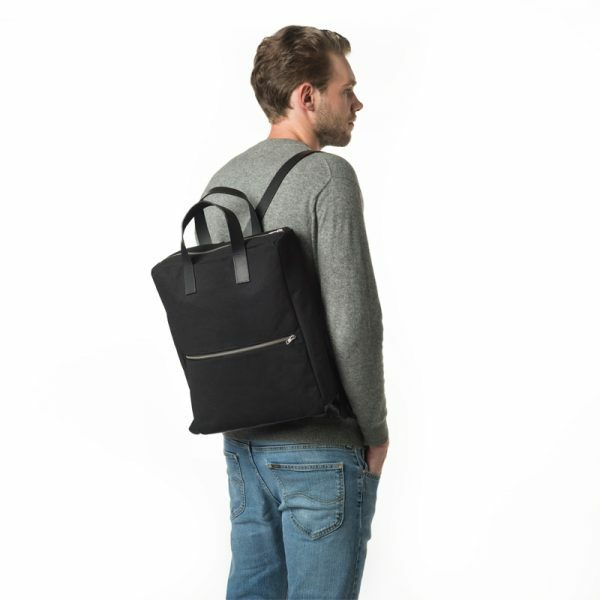 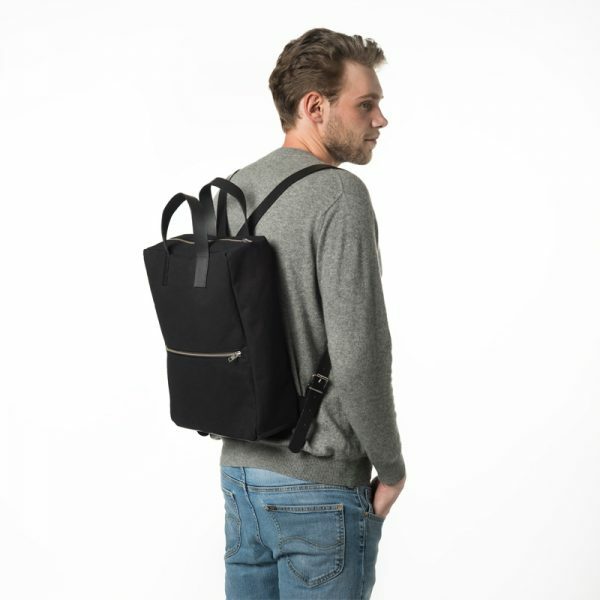 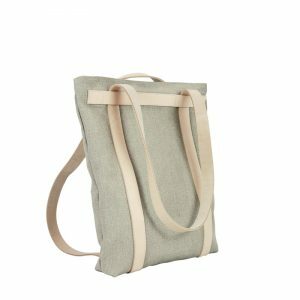 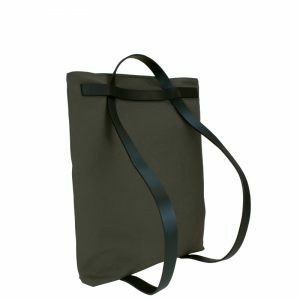 A classic backpack made of robust cotton canvas and a leather bottom for additional durability. 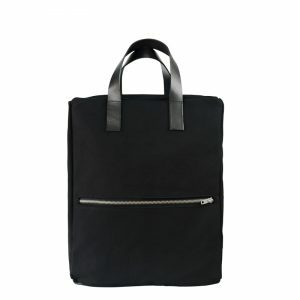 It’s fully lined with fine, black cotton fabric. 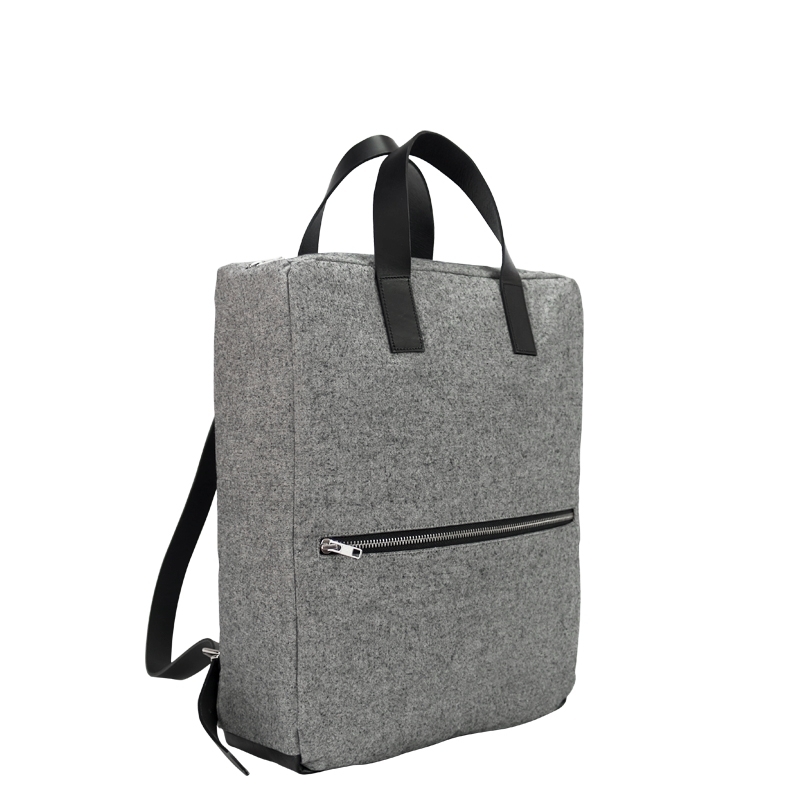 An inner upholstered compartment is perfectly suitable for A4 materials, tablets or a 15’’ laptop. An additional zipper pocket with front access has space for keys, smartphone and other things you need to have close at hand. 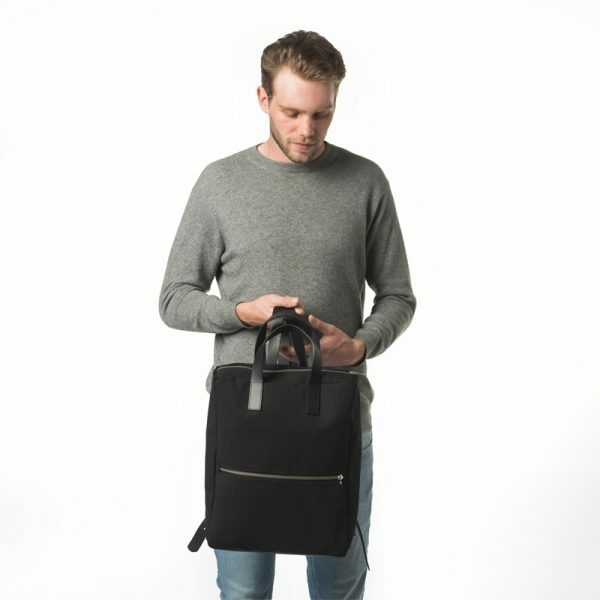 The extremely durable leather straps are fully adjustable with a metal buckle.